Fair Forex Brokers is the leading resource on online trading, be it in forex, CFDs, cryptocurrencies or other financial instruments. Other than broker reviews, our site reviews trading signal providers and auto trading robots. We have not only created advanced trading guides, a trading academy, trading software reviews and but also frequently introduce traders about latest news in the industry as well as potentially dangerous services. The biggest advantage for readers are the tested brokers, recommended by Fair Forex Brokers. Below you can find the the best brokers as judged by our experts. Between 74-89 % of retail investor accounts lose money when trading CFDs. You should consider whether you understand how CFDs work and whether you can afford to take the high risk of losing your money. FairForexBrokers.com consists of an international website commonly referred to as FFB, but our portfolio does not stop there and includes a wide range of local websites sites that allow our members around the world to read our reviews in their own languages free of charge. You can get to them by accessing the language menu in the top right corner. Fair Forex Brokers puts a lot of time and energy into following the latest trends and providing a balanced insight into the world of trading, whether it is crypto, forex, binary or CFDs. This is our mission from the very start, when there was still a Wild West situation on the market, without proper regulatory framework. We strive to keep up with the latest market trends and review the newest brokers on the market. 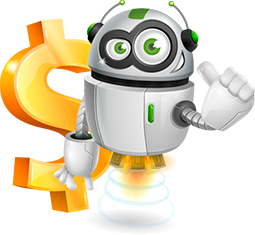 FFB also reviews other types of trading products and gives traders a deeper insight on binary and forex trading robots software. We at FairForexBrokers.com follow changes and developments in online trading industry and review brokers for all major groups of online retail trading instruments. Forex trading is the most popular way of trading nowadays. The underlying asset in this case, are currency pairs, and most brokers offer a great variety of major and minor pairs. The most interesting thing is that traders never have to actually own a currency as they are trading foreign exchange (or forex) contracts for difference, and not the currency itself. Traders can trade with many licensed and well-regulated brokers that offer trading with user-friendly minimum deposits that start at only $10 in some cases. Find out more about forex brokers and CFDs trading with FairForexBrokers.com. Is Forex Trading Legal and How Does It Work? Forex trading is regulated and legal in many countries, however, every country has a specific attitude towards online trading via forex, CFDs, cryptos or binary options, so it is recommended to check with the local regulator. Thanks to market regulation, the trading environment has become more reliable for the traders. In Europe (EU) brokers can obtain licenses by CySEC, FCA and other national bodies. Thanks to the EU MiFID directive, all the brokers regulated by one regulator have access to the complete EU single market in financial services through the Union wide passporting rules. It is then up to national regulators to specify rules that should apply in their jurisdiction. For instance, Belgium banned binary options trading, while France prohibits advertising of these derivatives to consumers. Fair Forex Brokers recommends only trading with regulated brokers no matter the country you are coming from. CFDs or contract for difference trading is, in many ways, similar to forex: you can use leverage, you follow the spreads, and you have to trade a minimum lot. However, there is one big difference, as CFDs use underlying assets like bonds, commodities, stocks, etc. Just like with forex, traders never own the actual underlying asset (for example, an Apple stock, in order to trade based on its market movements). This is what makes trading low volumes cheap, while still enables speculation on asset prices. Traders will be happy to hear that most forex brokers offer CFDs as well, and which definitely makes portfolio diversification into stocks or cryptocurrencies possible with just one broker account. Cryptocurrencies have slowly taken the spotlight. After a whole decade in shadows, they are now the stars of online trading. 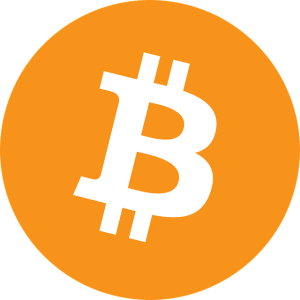 Great increase in price of Bitcoin, forced traders (and market specialists, scientists, and analysts) to finally pay attention to this underground trend. Now, not only bitcoin, but other cryptos as well (Ethereum, Ripple, Dash, Litecoin…) are featured as underlying asset with many forex and CFDs brokers. Cryptocurrencies can also be traded in specialized crypto exchanges, but in that case, a special procedure has to be followed. Another important thing to remember is that cryptocurrencies are now a new playground for many investors, so they tend to be quite volatile. Make sure to learn more about cryptocurrency trading. Options trading has one basic premise: the price of a certain underlying asset can either go up or down, thus meaning the trade can be placed like put or call trade. Binary options trading got a lot of bad publicity lately, mostly due to the fact that it was highly unregulated area of online trading. Still, there are plenty binary brokers who operate under licenses and offer a professional trading environment. Check out more articles about binary options and binary brokers. On our options, crypto, CFDs and forex trading review site, we focus on promoting the most popular brokers in the world, after we have tested them thoroughly. We do not recommend trading without reading our reviews first. We never recommend brokers that we wouldn’t consider for serious trading, and we try to warn about potentially unethical practices and terms and conditions before you even start trading. Brokers which dont satisfy our conditions or even scam customers are added to our Blacklist. Thomas M. from Netherlands contacted us regarding non-payment of €299 in September 2013. He had failed to get a response and payment for months. This is what we heard back from him after posting info about the issues on our site. Since FairForexBroker.com broker list is very long, we have tried to make it easy for customers to find the right kind of broker for them. We wanted to put together best brands in the trading industry at the moment under “one roof”. Online trading industry has grown very fast in a very short period of time. Today, with so many brands competing in the market, it has become to assess which one are safe and which ones are not. Also since the scope of the industry has grown, calls for crypto, forex and options regulation became louder. Regulated brokers are constantly under supervision from these authorities and this is something that in most cases guarantees quality and customer service. In our reviews, traders will also find plenty of brokers regulated outside EU. For example, Australian regulator is ASIC, while traders in the US can rely on CFTC regulated exchanges. We suggest you read more about trading regulations. In the United States, relevant regulatory authorities have a strict set of conditions that only few brokers can fulfill. While they don’t allow traditional binary options brokers, they do allow regulated binary options exchanges and forex exchanges. For United States traders we recommend the one featured on our site – NADEX Exchange. US traders should not trade with exchanges, that are not regulated. For the best user experience, it is not only up to broker’s staff to provide excellent service. The way customer experiences options, forex, crypto or CFDs trading is heavily tied to the software platform that is utilized by the broker. At the moment there are several big online trading platform providers, however, all platforms can be categorized in two groups. This type of trading platform is accessible directly via the web browser of trader’s choice. This means that users don’t have to download and install trading platform on their personal computer. Still, they must remember their login credentials that will allow them to access the trading interface. This type of platforms is more practical, as traders can use several devices, but also usually offers less tools and features. 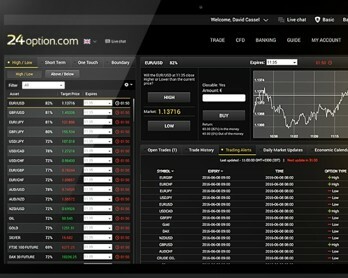 The most popular web based platform is Webtrader by Metatrader and SpotOption. In this case, traders first have to download the trading platform and install it on their personal computer. The login credentials are usually delivered in a separate email. The main benefit of using this type of platform is that it is stable and offers a great selection of analysis tools, so it is preferred by more advanced traders. The most popular download-based platforms are MetaTrader4 and MetaTrader5. Others are cTrader and Sirix, which are also used very often. These platforms offer a great variety of features that can help you during market analysis. Auto trading has been traders’ favorite for a long time, no matter whether it is options, crypto, forex or CFDs we are talking about. There is something alluring about an algorithm taking all factors into consideration and delivering a trading signal or placing a trade directly in the trading room. And while traders are becoming more and more aware how signals and auto trading software are no final solution for all their trading problems, auto trading software is also becoming more and more advanced and innovative. 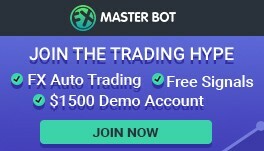 Fair Forex Brokers team always gives advantage to auto trading robots for forex, binary options, CFDs and cryptos, that give traders a certain level of control and offer plentiful of features they can apply on their trades. That way, traders can have a trading experience customized to their needs which is a benefit that definitely shouldn’t be neglected. And while there are many robot software solutions available on the market, we chose to put our focus on those we consider to have everything a modern trader needs to navigate often complex waters of online trading, no matter the type. 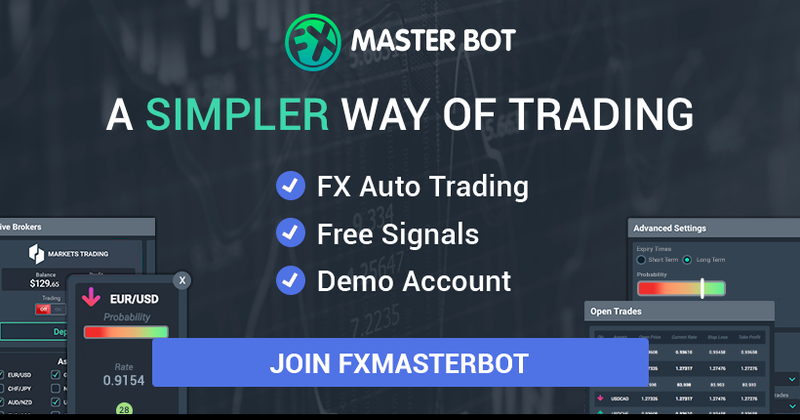 The most prominent one is the FXMasterBot – the newly launched 2018 online trading software for Forex and CFDs. Traders can also use social trading systems, trough services provided by a regulated copy trading platform eToro and similar products. Fair Forex Brokers doesn’t only help traders reach decisions when thinking what broker to choose. We support them every step of the way. After choosing a good and reliable forex or options broker, traders can turn to our website for relevant guides and info on strategies to find out more about analysis and other aspects of online trading, as knowledge is key to success. Choosing a forex or binary options broker is the first step, so the next one should be taking a look at our Guides section in order to cover the basics. FairForexBrokers.com has become one of the most popular resources for high-quality educational materials for traders of all kinds. Our readers get free access to educational articles that provide them a better insight into what trading is all about. Users have an opportunity to go through four levels until they are fully ready to apply all the advanced trading strategies in the market. 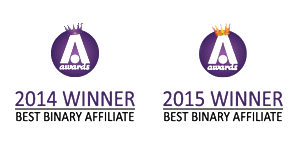 Our website is an iGB Award winning binary options portal that secures you a safe journey into the world of binary options trading.  As the industry has recognized the importance of our website with two iGB awards, as the iGB Awards Best Binary Affiliate 2014 and iGB Awards Best Finance Affiliate 2015, we are sure our visitors will come to realize all the advantages it offers. As the best Affiliate website for finance in two consecutive years, we feature a range of services that are beneficial to traders and to those who are trying to get credible information on binary options.